Eminem’s music publishing company Eight Mile Style has launched legal action for copyright infringement over claims that Facebook used music in an advert that closely resembled an Eminem song without seeking permission. The advert “Airplane” was played at an event in April to unveil Facebook Home, its new mobile software. 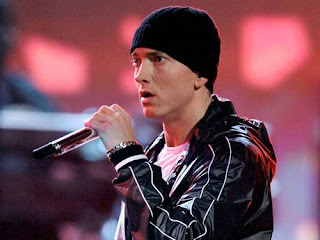 Eight Mile Style claims the song on the advert sounded “substantially similar” to Eminem’s “Under the Influence”, from the album The Marshall Mathers LP produced by Dr Dre and Eminem. Eight Mile Style also claims that Facebook’s advertising agency “incorporated said music into the Airplane advertisement in effort to curry favour with Facebook by catering to Zuckerberg’s personal likes and interests”. Zuckerberg is said to be a fan of Eminem and reportedly called himself “Slim Shady”, one of Eminem’s monikers, in an early website he created in 1999. After the advert was first released online by Facebook, the company later changed the composition of the background music and re-released the video. Eminem’s music publishing company said it is not possible to simply alter music to escape an infringement because the company owns rights to derivatives. Facebook's legal counsel has continued to get under the skin of Eminem’s camp by claiming that the artist’s song “Under The Influence” was a “rip off” of a Michael Jackson song, which makes Facebook exempt from copyright infringement, it claims. Eight Mile Style is seeking maximum statutory damaged of up to $150,000 per infringement for the defendant’s allegedly wilful misappropriation of Eminem’s song.